Discovering, capturing and making sense of complex interdependencies is central to managing IT infrastructure more effectively, and it is also a critical part of running the businesses IT serves. Whether it’s optimizing a network or an application infrastructure, managing change or providing more effective security-related access, more often than not these problems involve a complex set of physical and human interdependencies that can be quite challenging to manage. Moreover, once any two or more of these areas are brought together, the relationships are rarely linear or purely hierarchical. They form, in the computer science sense of the term, a graph. In this series on Neo4j and financial services, we’ll be looking at how today’s finance enterprises are effectively solving emerging challenges in the industry. In previous weeks, we’ve taken a closer look at financial asset graphs, data lineage, metadata management, fraud detection and anti-money laundering (AML). This week, we’ll take a closer look at network and IT infrastructure monitoring. The domains of IT infrastructure and network monitoring are rarely static. In fact, they tend to change with reasonable frequency as a result of factors such as reorganization and personnel changes, mergers and acquisitions, new applications being developed and old ones retired, and ongoing data center improvements. 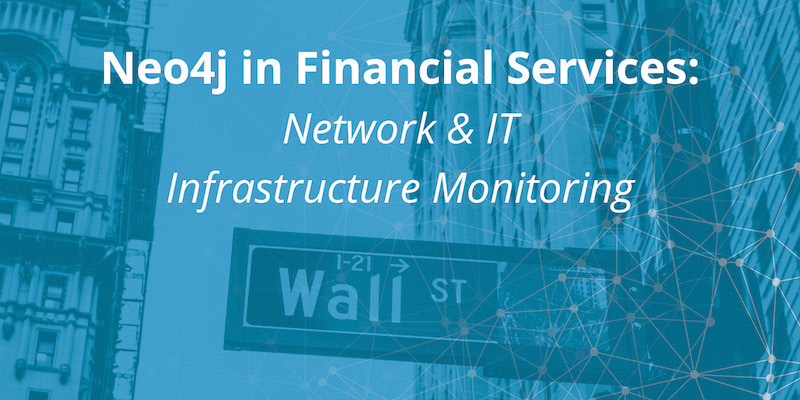 Financial services firms are augmenting their IT and network infrastructure monitoring capabilities by using Neo4j to graph their data centers, networks and other IT architecture. Broad IT use cases include everything from dependency management, impact analysis, network planning, downtime reduction, root-cause analysis and routing and quality-of-service mapping. Because of the evolving complexity and interrelated nature of today’s IT infrastructure, only a graph database can properly map and query all of these connected data points. As a large enterprise, Royal Bank of Scotland (RBS) has a number of legacy integrations and dependencies to contend with each time a new application is deployed. In an attempt to improve developer productivity, the financial services firm sought to automate deployment. RBS had reached a point where their legacy deployment process was causing butterfly effects. IT would deploy a library to user acceptance testing (UAT), development, production and then make a few minor changes that triggered significant and unintended ramifications. To solve these problems, RBS created hooks into a SaaS-based continuous integration platform, but it soon became evident that any pre-existing application would require a complete rewrite. RBS needed to integrate with existing GoldenSource services that included every core operation inside the bank such as teams, users and hosts. RBS also wanted to expose the information and interact with its release system through a REST API and avoid being restricted in future user experience development, including mobile. RBS needed full flexibility and control, which could only be had by building its own release tool. To solve these dependency management problems, RBS created Dart (“Damn, Another Release Tool”) based on Neo4j. Unlike a relational database, Neo4j gives RBS the flexibility to change its data model easily and on a continual basis. Most importantly, Neo4j makes integrations easy. 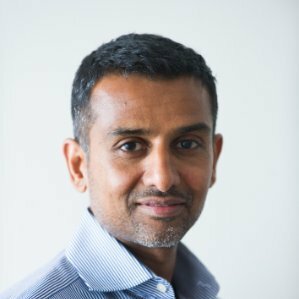 RBS now aspires to have a true microservices architecture and deploy Dart as another microservice. “It’s very easy to embed Neo4j in your service and spin up a cluster without any external housekeeping service required. We knew this would be incredibly important when deploying our conceptual services to the cloud because they would deploy as one package,” says Stelios Gerogiannakis, senior engineer, Royal Bank of Scotland. Dart has been a huge success for RBS. Over the course of seven months, usage grew by 50% each month. Users find it easier to automate their deployments and push software into development and UAT, which translates to increased productivity. As a result, Dart will be rolled out to roughly 10,000 developers across all of the organizations in the RBS group. While the challenges of network monitoring and IT infrastructure management aren’t just limited to the financial services sector, they are certainly challenges that every enterprise bank or financial services firm needs to address. With Neo4j to help your IT organization map out network elements – and their related dependencies – your firm can create a sustainable competitive advantage over your other high-finance competitors. Furthermore, large changes in financial regulatory compliance on the horizon – most notably GDPR – require you to track all of your IT infrastructure, including what data is stored where. The right database helps you stay on top of new regulations, instead of falling out of compliance. In the coming weeks, we’ll take a closer look at other graph technology use cases within the financial services industry, including identity and access management, cybersecurity and customer experience management.